Resist the pressure to be who you are not. Strive to give yourself over to the gladness that you are who you are. P.S. There are ideas in the latter. As you’re about to return to AdCenter from the Christmas holidays i’ve an admonition for you. there’s more pressure to be like someone else than there is encouragement to become more of who you are. I am a midwestern boy. I lived in each of them growing up. As an adult i lived 10 years in LA. Loved it. Beach. Sun. Wonderful. However, while i was in LA i tried for some time to write like what i saw being bought by Hollywood. What i do have a grasp of is how much of a mistake all that effort was. Not only did i write a bunch of crap trying to fit a conjured-up style that wasn’t mine, but, worse, writing that way was so uncomfortable i didn’t do much of it. It’s one mistake as a writer to do bad work. It’s a whole another worser problem when you ain’t doing much of it. I didn’t find success with that stuff. Thank God for that small mercy. Moral of the story: writing from who you aren’t isn’t a career, it’s a sideshow. 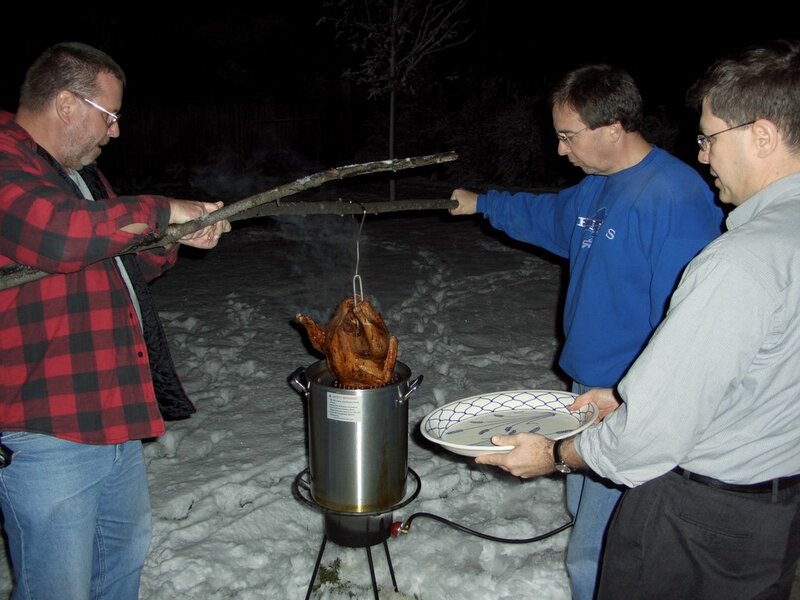 A michigan-football-watching, deepfried-turkey-eating, flannel-shirt-is-a-coat man of the prairie. A barn-sized door-filler from the offensive tackle-producing breadbasket of the country. 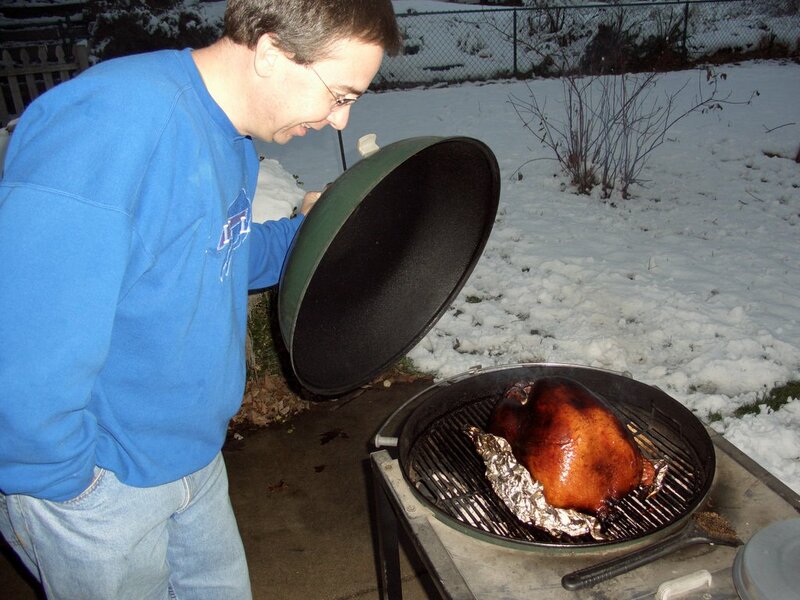 The kind of guy who wants another turkey on the bbq while the first one is in the deepfryer. This is where i come from/who i am. Things unrefined, unrecommended & unbeautiful arouse me, touch me with a kinsman’s embrace, and speak to me in a dialect unhearable to those who could watch the ’85 Bears’ Super Bowl Shuffle and remain tearless. When i sit down to write, beer & sausage is what flows in my head. If i try not to be who i am; if i try to be someone cooler or slimmer or better dressed or the umpteen dozen other ways in which this model could be improved, into what flow inside me am i going to be able to tap to feed the pen that sits at the end of my hand waiting for ideas? Nothing human or new anyway. Great work in advertising isn’t about making people feel bad about who they are. The work produced from that starting point is the kind of work people without souls are willing to do if it makes money. That’s all. Great work points at value. It finds people at their most human and says, there, like that. You must be as human as you can be to generate connections between products and living/breathing/thinking people. If you’re doing the hate-yourself-want-to-be-like-other-people dance you will find it as near to impossible as i can imagine to create something new. I know you can make money from that stance. You can sell a ton of that stuff if you’re practiced at giving back a shinier rendition. If someone shows you a piece of work and asks you to work like a xerox machine that changes it just enough to get away with, there’s a lot of paychecks out there. If you are able to give back something just a little bit cleverer than what someone holds up as a model, you betcha there’s a way you can maximize the monetary reward for that. What you can’t make is progress. Genuine progress in moving the ball of human knowledge & understanding forward does not come from the work you do when you pretend to be someone you’re not. It comes from you being you. I swear i would tell you if this wasn’t true. If there was a slick, intellectual, simplistic way to go forward i swear i would not hold back the knowledge of it from you. When you try to be who you aren’t into what inner resevoir are you reaching? When you put your hand down into a yourself that doesn’t exist, with what will it return? There is one way forward. You become more of who you are. You step forward on the feet that are yours. You feel the bottom of whatever pool you walk into and tell us on the shore what only you know. There’s no way to know how you’re doing. And the world makes up its mind outside you about how much attention to pay you and how much worth to assign to your work and in the end the most important assessment of all is the one made by the only person who was privy to all the circumstances, you. What matters is what you think. I promise there are ideas in you being you that there aren’t in you trying to be someone else.